Looking for that one piece for your wedding? Or looking for a great mother of the bride accent? 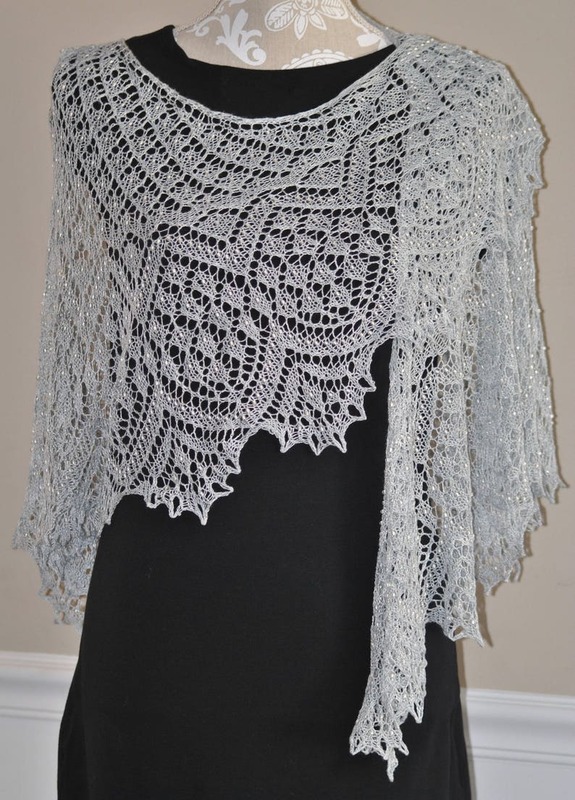 Here is a beautiful lace hand knit shawl that would add to any woman's wardrobe for the big day. 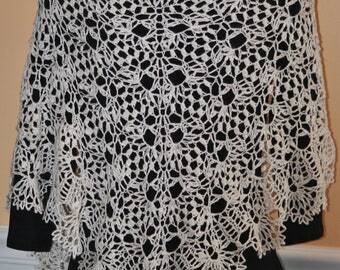 This is an extra large hand beaded shawl that would make any outfit shine! On this shawl each bead has been meticulously added individually by hand while being knit. It has been made using lace yarn that is made from one entire skein so there are no knots or seams throughout this piece. The shawl features 7 little diamonds down the center back. Followed by a pointed triangle pattern that has 24 points. These points make up the top of whimsical tear drop shapes which lead into 26 flowery points at the bottom edge. The shawl also features OVER 1,000 beads throughout it. These beads have been placed individually as the shawl has been knit. 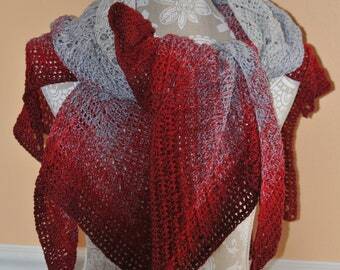 This shawl has a fantastic drape due to the beads. Even with that many beads this piece is not exceptionally heavy! The yarn used in this shawl was custom dyed for MysticNeedle in a luscious silver color, and it is comprised of 100% Tencel. 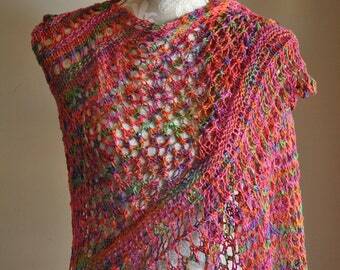 The shawl measures 25.5 inches at it's widest point down the center back. The top crescent neck edge is approximately 60 inches long. This piece is truly a statement shawl and a one of a kind piece!! Hand knit within a smoke-free and pet friendly environment. Thanks so much for visiting Mystic Needle!! Thank you Nancy and Jessica for the beautiful bookmarks. I love them! They are very well made and the colors are wonderful. You are very talented. Thank you for the additional bookmark, so so kind of you. I'm sorry for the color mix up. Will be shopping with you again soon!